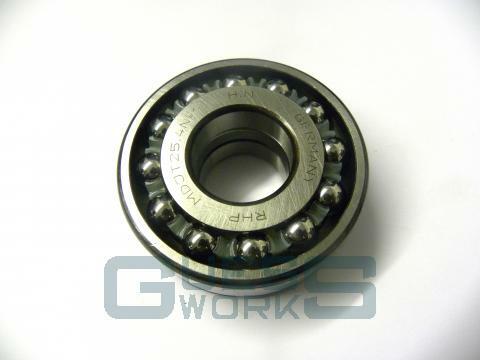 Genuine RHP full steel race double roller bearing. This is the main load carrier in the gearbox, attached to the mainshaft next to the pinion delivering power to the differntial. This is the latest generation of this bearing using a full steel race, similar to the original 60's design which was replaced for a slightly inferior vesrsion in the 70's. Also used as 1st motion carrier on automatics.